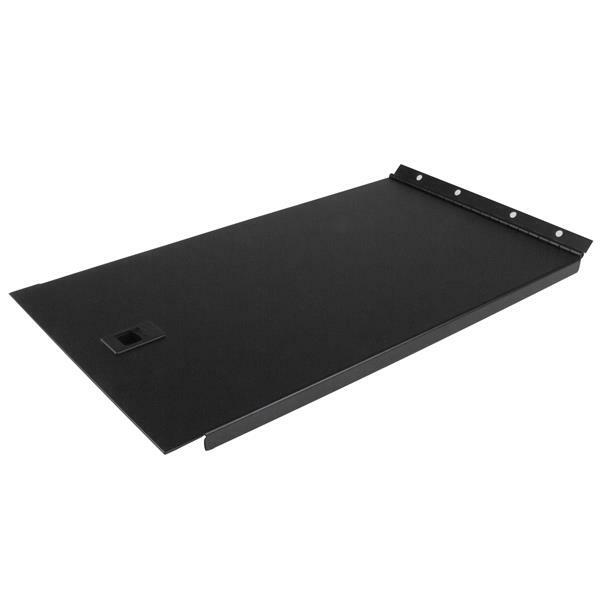 You can improve the appearance and airflow of any standard 19-inch server rack, while maintaining easy access, using this 6U blanking panel. This TAA compliant product adheres to the requirements of the US Federal Trade Agreements Act (TAA), allowing government GSA Schedule purchases. The hinged blanking panel creates a clean and professional look by covering empty space and visible cables. Adding blanking panels to your server racks offers a tidier appearance for a more organized server room. 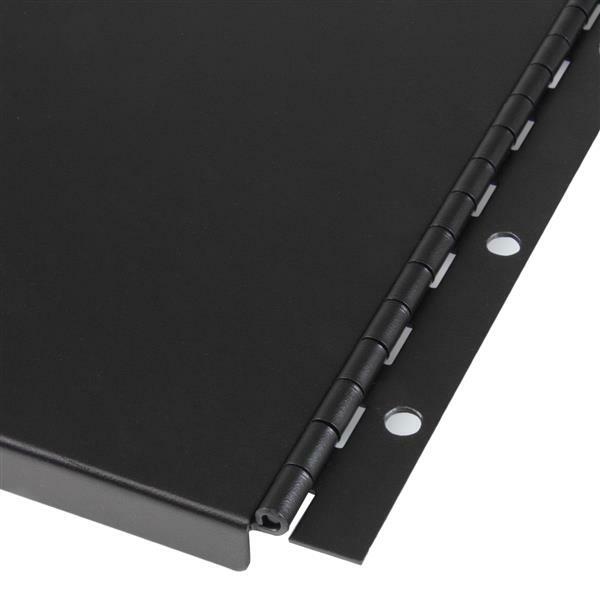 The blanking panel features a hinged design that enables you to open the panel for fast and easy server access. You can quickly open the panel, make your required adjustments and when you're finished, simply close the panel to restore the professional appearance and order of your server room. The panel is reversible, so you can install it on the left or the right side of your rack. Plus, the panel includes the screws and nuts you will need to install it in your server rack, to ensure a quick and easy installation. The blanking panel features a solid design that helps guide airflow down the back of your rack, rather than between occupied spaces. Improved airflow helps ensure your rack-mounted equipment is running at an optimal temperature. 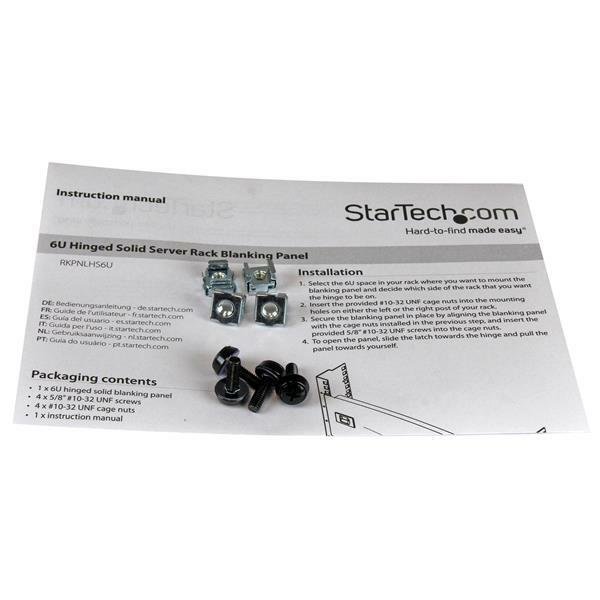 The RKPNLHS6U is backed by a 2-year StarTech.com warranty and free lifetime technical support.